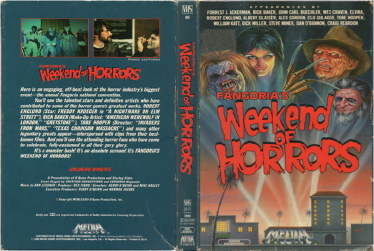 Documentary style entertainment done during the height of Horror's popularity in the mid-eighties. Tons of actors, directors and makeup artists from the genre are candidly interviewed within, still in their prime, not the least of which are Cassandra Peterson (Elvira) and Robert Englund (Freddie Krueger)!!! This piece is informative, entertaining and nostalgic, full of clips from your favorite horror films as well as ones you've never seen before!